We use time-dependent perturbation theory to calculate the full electronic friction tensor and study its relevance in the simulation of dynamics at surfaces. An accurate description of nonadiabatic energy relaxation is crucial for modeling atomistic dynamics at metal surfaces. 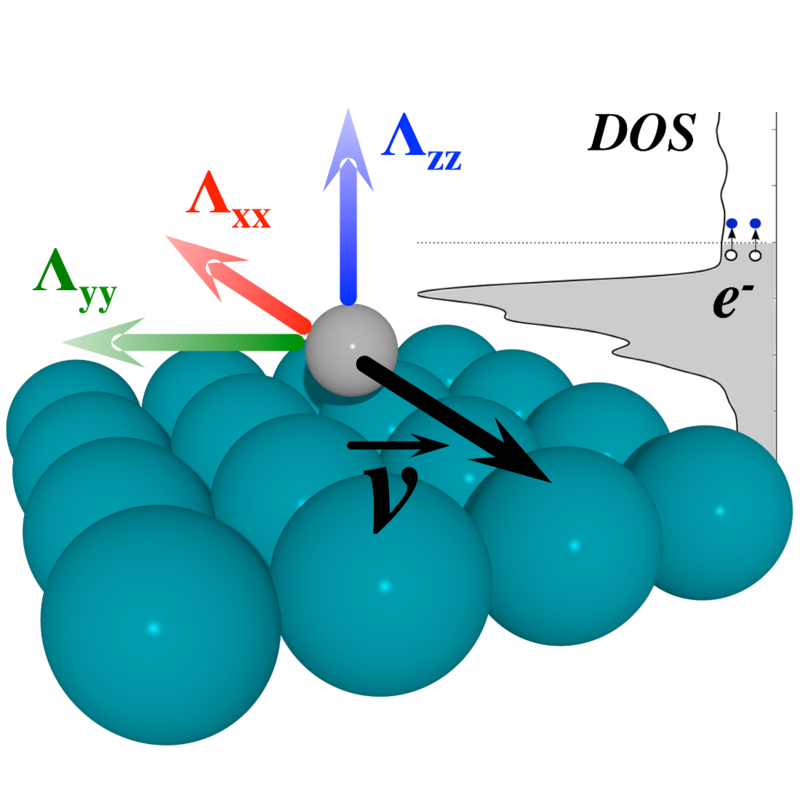 Interfacial energy transfer due to electron-hole pair excitations coupled to motion of molecular adsorbates is often simulated by Langevin molecular dynamics with electronic friction. Here, we present calculations of the full electronic friction tensor by using first order time-dependent perturbation theory (TDPT) at the density functional theory (DFT) level. We show that the friction tensor is generally anisotropic and non-diagonal, as found for hydrogen atom on Pd(100) and CO on a Cu(100) surfaces. This implies that electron-hole pair induced nonadiabatic coupling at metal surfaces leads to friction-induced mode coupling, therefore opening an additional channel for energy redistribution. We demonstrate the robustness and accuracy of our results by direct comparison to established methods and experimental data.